What’s an industry as old as time? Spa services. From the Roman bath houses to the ancient spa practices throughout Asian cultures, to everywhere in between, pampering ourselves for health, relaxation, and beauty has long been a part of our heritage. Which explains why salons today are one of the steadiest industries around, with more people opening up shop everyday. 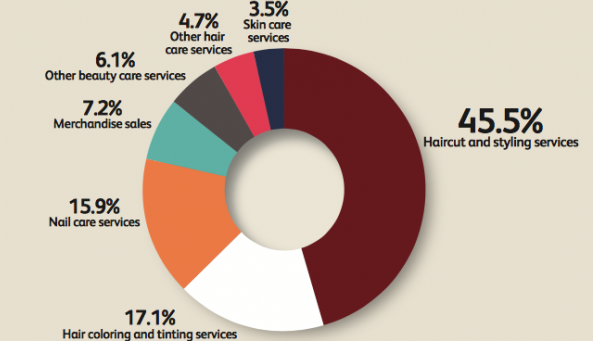 According to IBISWorld — the nation’s largest provider of industry research — the Beauty, Barber, Nail industry is still strong and ever growing. As our state’s disposable incomes increase, which they’re expected to do over the next 5 years, so too will our state’s spending on self-pampering activities like getting nails done, getting hair colored, or getting a nice clean shave on the reg at the barbershop. Which means, as more of these businesses open, there’s more businesses that will need YOU to be the insurance agent to get them the proper Beauty Barber Nail Insurance coverage. New Beauty Barber Nail Insurance risks you bind during our USLI Promotion can earn you more money! Beauty Barber Nail risks that have microdermabrasion, laser hair removal, and tanning may now be eligible! Subject to approval. Or Quote Online HERE Now!